buynow/bloglater: Burberry "Pale Barley" - my lids but better? Burberry "Pale Barley" - my lids but better? Pale Barley. So many blogposts. So many YouTube mentions. And so little stock. This was sold out everywhere for quite some time but Burberry got the memo and brought it back due to popular demand. I found it lurking on netaporter.com and added it to basket without a second thought. Surely a shadow so raved about would not be a disappointment? First things first. The packaging. I have never owned a Burberry shadow - or Burberry anything - and the sheer weight of it is reassuring. It's like the whole Tom Ford lipstick thing. Okay we accept that the cost of manufacturing probably comes down to pennies but when you pick that baby up, it feels expensive. They figured us out, eh? Within the gunmetal reflective casing sits a shadow soft, buttery and long lasting. It's everything everyone said it was and does make me want to buy more from the line. Now the colour. How would I describe this? Well officially it's a cool golden brown shade, with just a hint of lustre to it. In reality? My first thought, after packaging admiration, was "well, that's not groundbreaking is it?". It's as neutral as neutral can be and doesn't contain enough shimmer to get me giddy with excitement - I am a magpie after all. But, and here's the but, it's a staple. It's absolutely one of those shades that lacks excitement but offers utility. I can see myself wearing this pretty much every single day. It defines the eye in one sweep and has a grown up sheen that catches the light and makes eyes shine in a very subtle way. I have been wearing it paired with NARS Bali in the crease and Mekong smudged along my lash-line. One purchase of course leads to another and now I feel compelled to buy more Burberry shadows. I am thinking Rosewood would be a good start but any of your personal favourites would be welcomed! FYI: On the rest of my face we have....a lot! Foundation: Clarins Extra Comfort - so much love for this and so much hatred towards the pot packaging! Concealer: Collection 2000 Lasting Perfection. Officially addicted. I only tried this recently and it is, without question, the best undereye concealer I have ever used. Like ever. 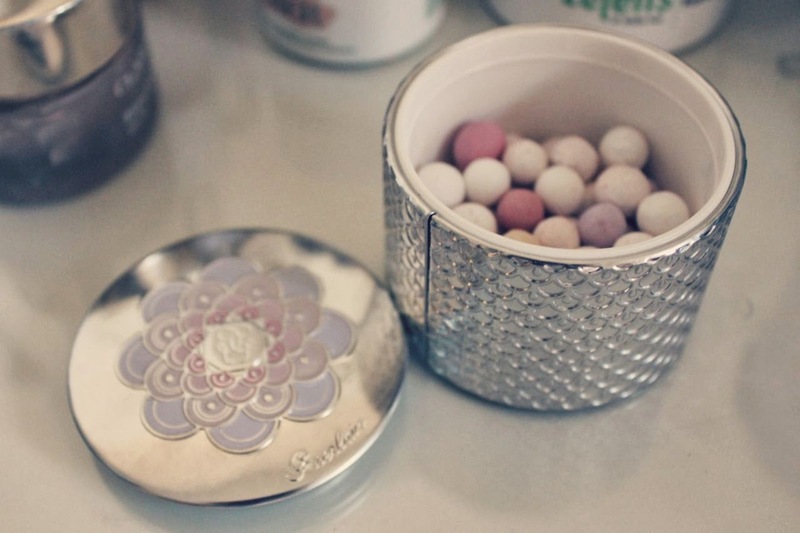 Powder: Guerlain Meteorites (1) - Simone gave me these little powder balls as a gift. I have lusted after them for years (actually decades....) and gave them a go for the first time ever yesterday. Immediate soft focus. Addicted. And they smell of Parma Violets. Blush: NARS Final Cut - this is now available on the NARS site and I highly recommend it. After buying all four from this collection, I think this one is the most lifting and beautiful. Eyes: We have talked about this but I did use L'oreal Miss Manga mascara. Tacky name but superior to Benefit They're Real in the fact that it gives great lashes and doesn't refuse to come off at the end of the day. Lips: Tom Ford Lip Color Shine in Smitten - I wouldn't recommend this. Alot of money for something that can be so easily duped. Shirt: Zara - I got this in September last year so it's no longer in store. Skirt: Forever 21 - I couldn't find the exact skirt on the site but I found one that's perhaps even prettier - Link! These skirts are exactly the reason why I still go in that store - occasionally there is a wearable gem. Of course as a pastel nutter, I love the peach. Okay that was a long post. I'll shut up now. Thanks so much Kerry! I absolutely love this skirt - quality is fantastic, fit lovely and great price! Final Cut is just soooooo beautiful. It was the one that scared me the most because of the orange undertone but it's just so nice on. A really perfect coral! You finally got your hands on it! :) Looks fab on you. Another Burberry eye shadow you should get is 'Almond' again, doesn't appear groundbreaking at all in the pan however its such a useful 'wear everyday' shadow. I bought it on the recommendation of Sandra (15 steps then a beauty blog) and its a staple in my collection now :). ooh I love Sandra's taste! I must look into this immediately! Thanks Elisabeth! Hi Charlotte - its taken me such a long time to get round to it but it's totally worth the wait. The quality really is as great as everyone says. Beautiful shadow and love the spring outfit! I have never tried Burberry shadow but now thinking i may need to! Love this look! Thank you so much Drew! It took me a while to get round to it but I would definitely get more - lovely texture and quality. This shade looks gorgeous! Going to London soon, I will be picking up a couple of these babies then! I have Pale Barley, Rosewood and Almond, love and use all of them! 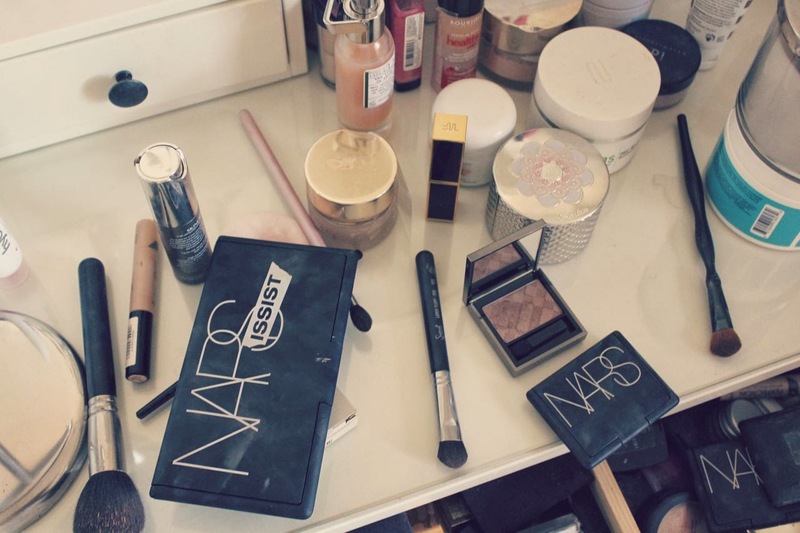 Loving the new blog layout and I want to know which Sarah Chapman Skinesis that is on your dressing table! ah it is the Overnight Exfoliating Booster. I really rate Sarah Chapman (the eye cream is pretty fab) but on the fence about this so far :) Thanks Charlotte! never got around to trying burberry eyeshadows yet! Midnight brown would be my first choice though! Try Burberry Trench - a lovely highlighter and great for blending or even using a concealer powder. You want Midnight Brown or Taupe Brown next - well, after Rosewood. This looks so good! MAC's Wedge is a fab alternative in my opinion for cheap skates like myself, ha! So I know I should comment on the eyshadow because that's what this post is all about, and while I agree that the packaging is gorgeous, I really need to mention how much I'm girl crushing over your hair!!! 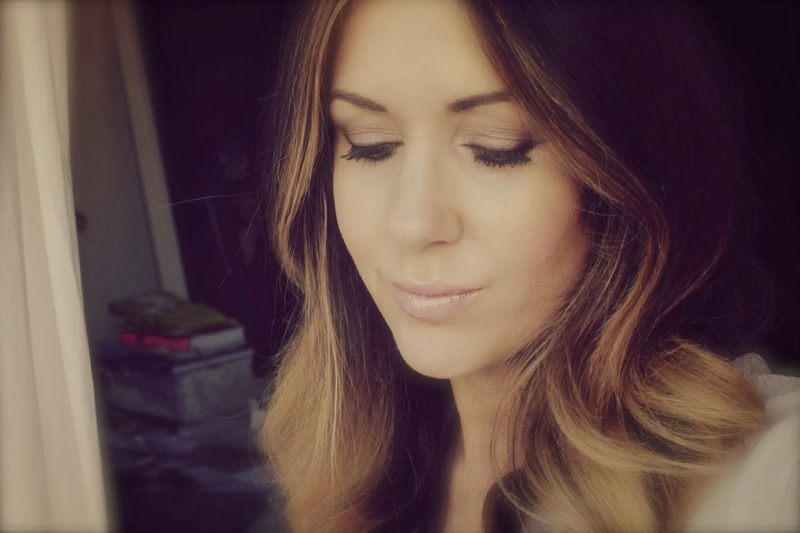 I've been tempted to go ombre for SO long and I think you've sealed the deal! I think it's going to be my summer venture. But I can only hope that it looks half as lovely as yours! Rosewood should definitely be your next shadow! I think Midnight Brown would be right up your alley too if you like some shimmer. And of course their blushes are to die for. The packaging of the eyeshadow is drawing me in. It's my major weakness when it comes to make up. pastels look amazing on you! I finally got hold of Clarins Extra Comfort this comfort as well as, incidentally, Collection Lasting Perfection concealer after so many instances of it not being stock. It is truly a match made in heaven for the perfect base :o I said before on your post that I loved the look of the packaging but now I have the Clarins foundation, I completely get it!! The plastic plug can be so messy. 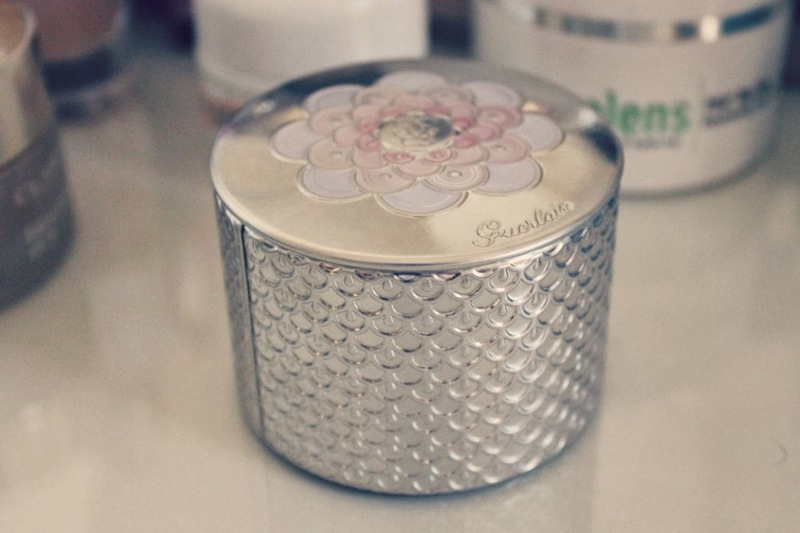 Anyway now I know of the existence of Guerlain Meteorites, life can't go on until I own it - BEAUTIFUL. So pretty! I must be out of the loop because I haven't seen this shadow before but the way you wear it with the rest of the shadows and your makeup makes it look super pretty and low key- perfect for that outfit you're wearing! I have GOT to start following your Instagram! Do you think this shadow will work well with all skin tones/eye colors? This looks a great for day wear, I'm a sucker for the packaging too! You have such lovely taste in makeup and clothing Laura!!! Absolutely loving your beauty posts! I must pick up this shade -- I have a slight obsession with neutral-toned shadows. 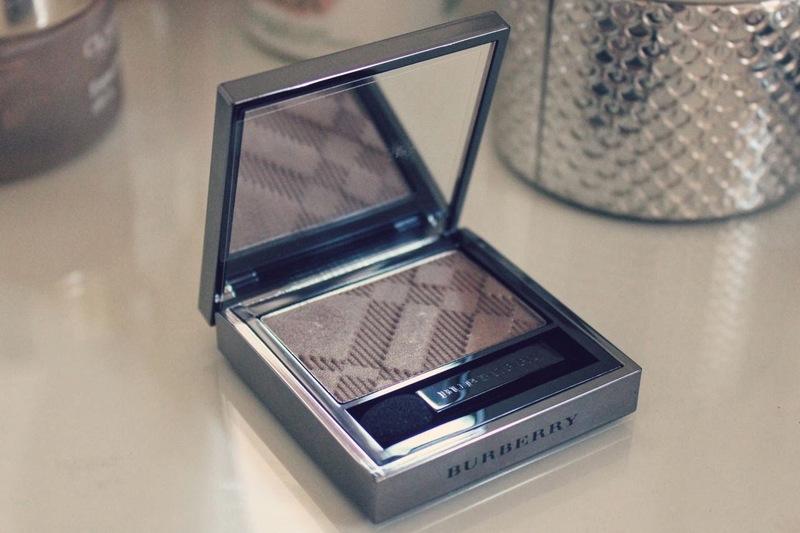 Burberry Pare Barley is my favourite eyeshadow and probably the first one I will ever finish! I also love their Mocha palette and Midnight Brown. Any my skin but better beauty products are my favorite!